Our healthcare professionals assist clients in different disease stages by helping minimize their suffering and improving the quality of living in all areas of a client’s life. We offer clients and their families a variety of support: from emotional care to spiritual care, pain and symptom management and bereavement counselling. 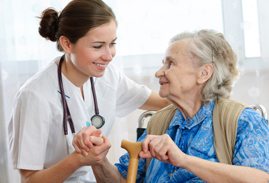 We continuously educate our professionals in palliative and end-of-life care.